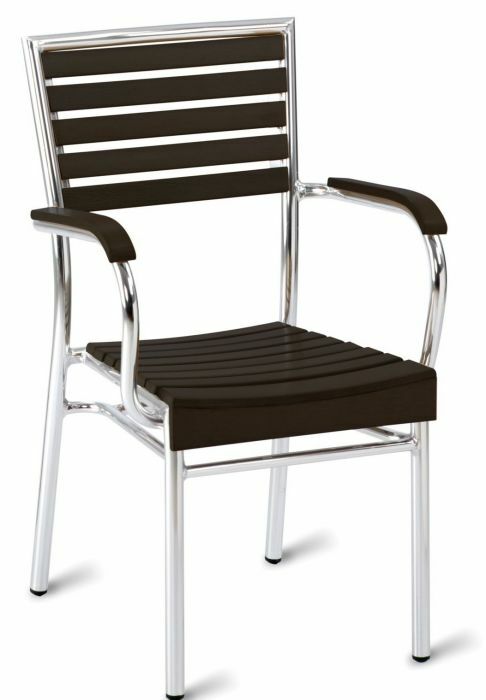 Aluminium arm chair with Black wood effect slats and a 28mm diameter Aluminium welded, tubular frame. Stacks up to six high and available from stock for a fast and free delivery. 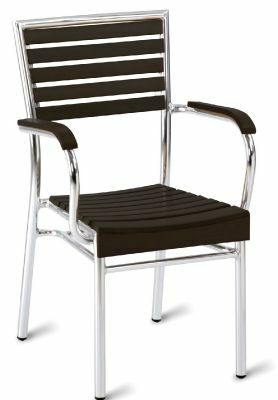 Stacking aluminium armchairs with slatted plastic seat and back, suitable for external commercial use. This range is held in stock for a quick delivery.